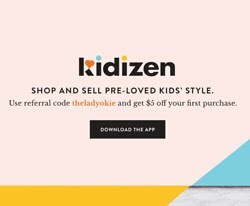 The Lady Okie: Baby's First Snacks with Gerber! 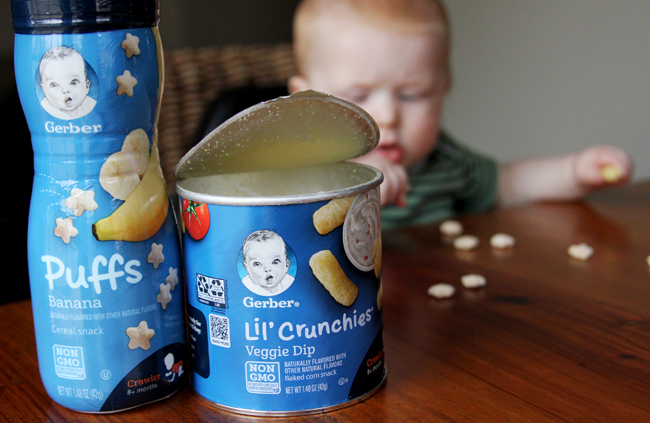 I love Gerber because their nutritious snacks have ingredients like whole grains, real fruit and yogurt, with no artificial flavors or synthetic colors. I mean, seriously it grosses me out when a package says it's colored or flavored artificially! I actually have a coworker who refuses to eat anything blue because he says no food is naturally blue. 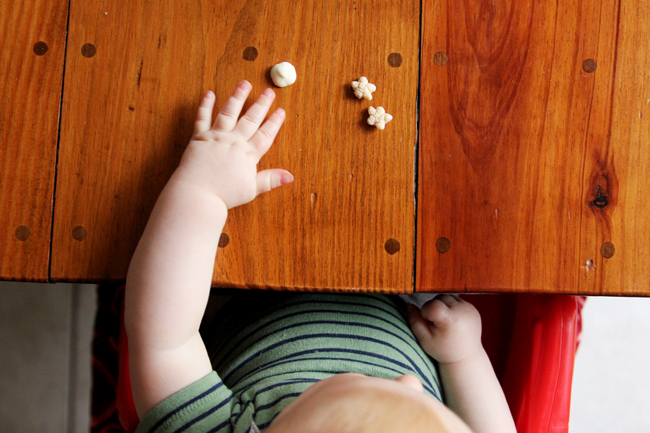 Did you know that babies and toddlers ages 8-24 months get 25-30% of their daily calories from snacks? That makes it even more important to offer healthier options like Gerber. Just last weekend I traveled by myself with both kids to Texas to visit my parents. (Perhaps a story for another blog post. It was in the top 5 of Worst Drives to Texas Ever, and I've made a lot over the last 9 years!) 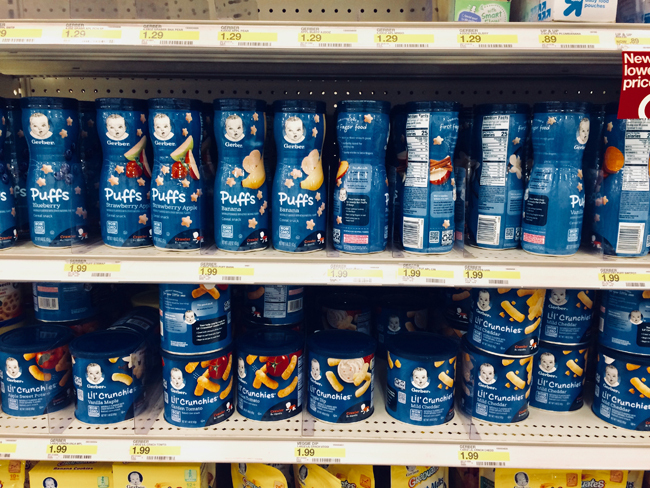 A canister of Puffs is one of my must-have items because they are so handy for traveling and kind of actually saved my sanity a few different times. 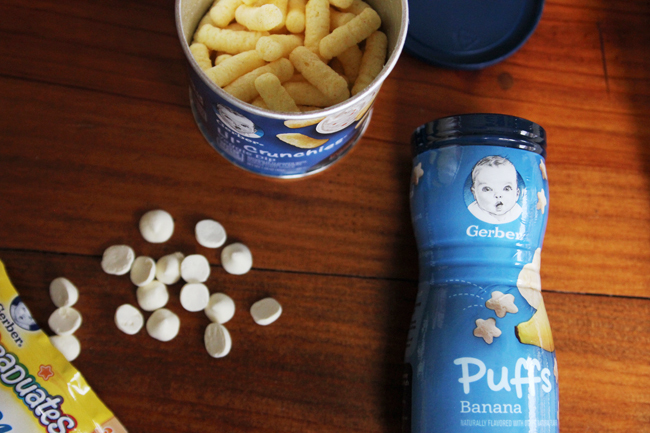 You can learn more about Gerber's line of snacks for babies/toddler here. 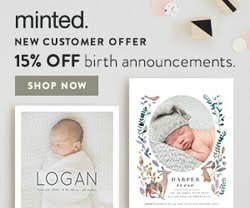 Don't forget your Gerber coupon! Oh no! I am sorry the drive to Texas was all kinds of terrible. At least there's family help once you arrive, right? That last photo is golden. The crawling thing is definitely more of a suggestion considering J is NOT crawling at all. That guy. I swear. At least he's rolling both ways now! ha. 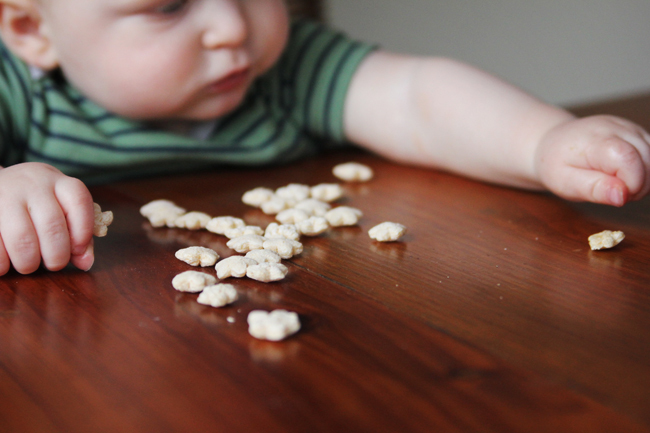 I started giving J puffs and cheerios a few months ago. I hadn't given him the crunchies and yogurt melts before I bought them for this post, actually. For some reason I remember R having a hard time with the yogurt melts. She would keep gagging on them, so I hadn't given him any yet, but he did fine with it! I think with those I personally wouldn't just drop a handful down in front of him like I might with puffs. You can totally start chopping up food in small bites for N now! Or, really whenever you feel comfortable. 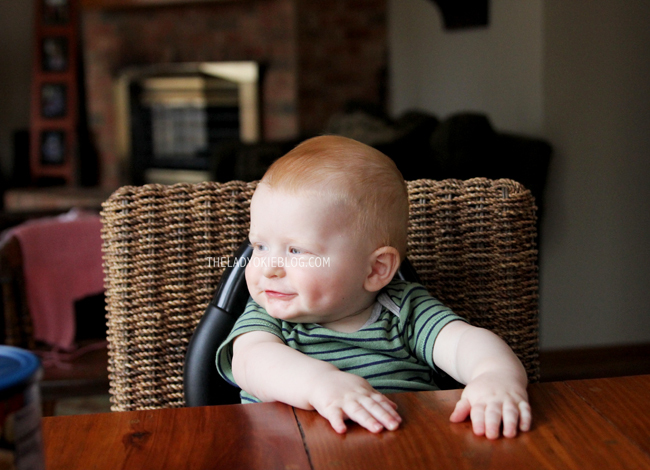 We had friends who gave their son only purees until he was 1. It's just personal preference. Like I said in my post, I feel like we started J off a lot sooner with table food than we did with R. I think because I just didn't want to mess with it and it's easier to chop up what we are eating. If it makes you feel better, I thought about the food thing a lot with R and felt overwhelmed by it, and with J it's felt more natural, so think it's just a first-time mom thing. And I don't mean that in a bad way, but just that it does feel really stressful at first if you've never done it before. A super easy thing to start with are bananas and avocado because both of those are very easily mashable. 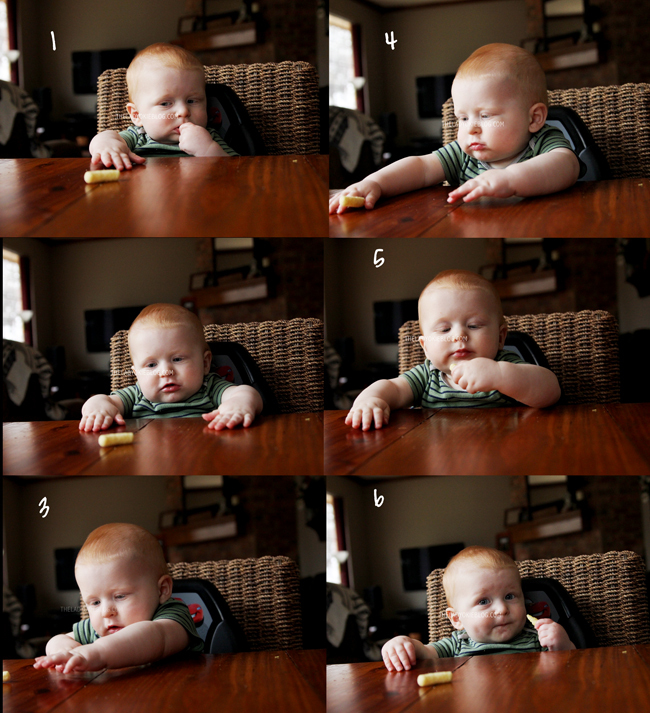 J also loves graham crackers. They basically melt in your mouth. We do a lot of steamed or roasted veggies that we cut up into small pieces. Sweet or regular potatoes that have been cooked. Scrambled eggs... stuff like that :) J also loves bread with peanut butter on it. I cut up the bread in small bites. R never really gagged or choked, but J gagged a lot in the beginning, at least compared to what I remember with R. I'm not as scared about it as I used to be, but obviously it is something that can happen. It made me feel better to watch a video (just on YouTube) about how to handle infant choking so I wouldn't just panic if the time came. The drive to Texas. It normally takes 3 hours, and on the way there it took FIVE AND A HALF. The way back took over 4 hours. It was crazy but now I feel like I can conquer anything haha! We give Imogen puffs, yogurt drops and those little crunchy things too just not Gerber (nothing against Gerber we’ve just been using a different brand)...she loves the crunchy sticks and we call them her Cheetos, hahah. J is a cutie!!! He is SO precious. I just can't even handle those dimples. 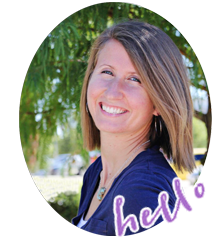 <3 I'm so glad you are 2 for 2 with good eaters! That's awesome! Also, I'm so sorry to hear about the trip to Texas. Yikes! I'm so glad you had something to help save your sanity a little bit. These sound great! Those dimples are the cutest!!! Bowen still eat yogurt melts for a snack even at 2 1/2. Sorry to hear that trip was tough, I can't even imagine. I anticipate that Gerber will be contacting J soon to offer him a modeling contract. He’s so cute! Ava loves the melts and the broccoli cheddar beanies so much. Those are probably the only vegetables I get into her with any regularity, unfortunately. I guess it’s something. 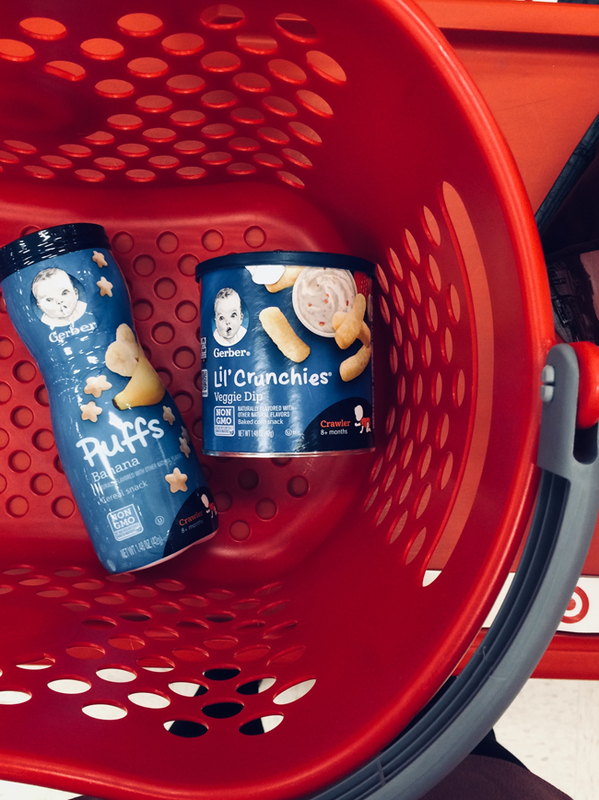 E loved those little crunchies, the puffs not so much.